If you have done enough research about the best exercises and fitness regimes to shed fat, then you might have come across this theory which states that the best time to work out and shed some fat is in the morning. There have been numerous debates about whether the morning is the most optimal timing to workout and shed fat and at a more efficient rate. However, SIXPAD is here put an end to the constant debates about the best time to burn fat. Sorry to break it to night owls and late risers – but scientifically, it has been proven that working out in the morning allows your body to burn the most amount of fat. When your workout, your body consumes calories you obtained from food as well as fat stored in your body. However, when you exercise first thing in the morning, your body has no food to draw its energy from. As a result, it draws energy from fats stored in the body from your previous meal. In other words, more fat is burnt when you choose to workout in the morning. In addition, exercising in the morning also kickstarts your metabolism and suppresses impulsive cravings. It is also a great way to get your blood circulating and mind awake. Best of all, it jumpstarts your day with a more positive mindset with improved cognitive abilities and enhanced performance at work. Furthermore, allocating time in the morning to exercise gives you fewer excuses to wuss out of your workout. When you wake up at 5 a.m. for a jog before work, you have no excuses not to kill it during your workout! It may take a lot of discipline and self-coaxing to adjust to morning workouts. However, you will get used to the routine overtime and even look forward to completing your workout and look fit every morning. That being said, however, not everyone is a morning person. If you foresee that you are not going to give your best and channel energy into your morning workout, you might be better off working out in the afternoon or evening. In fact, studies have also shown that working out in the morning could affect your ability to bulk up and gain muscle mass. This is due to the fact that your body is rapidly burning fat during your morning exercises – thus, you will not be able to convert the muscles into fat effectively. While morning exercise could help you cut fat, it may not be a sustainable regime if you want to build muscle. Moreover, working out in the morning puts your muscles and joints at greater risks. This is due to the fact that your muscles and joints are a lot stiffer in the morning after getting out of bed. Then again, this can be overcome with a comprehensive warm-up. Should You Start Working Out in the Morning? All in all, although morning workouts might be scientifically proven to help shed the most fact, it is key to keep 2 things in consideration when planning your workout regime. Firstly, schedule a timing where you would feel most energetic and have the most productive session. Regardless of the timing, as long as you are willing to give a 150% in your workout, you should start seeing changes in time. Secondly, it important to consider your long-term fitness goals. 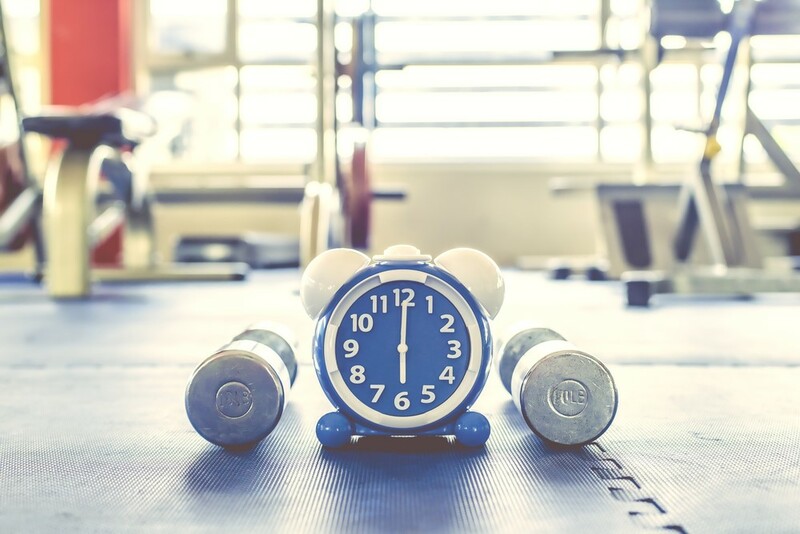 Whether you are looking for a fitness routine to develop muscle mass, shed weight or just relieve stress, the timing of your workout matters too! So, make sure that you keep these long-term goals in check so that you can choose the most optimal timing for your workout.